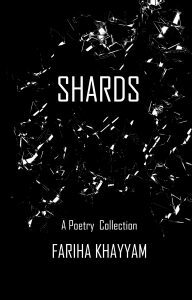 SHARDS is a modern-poetry collection. SHARDS released on December 12th, 2017. You can also add it on Goodreads. It’s available on Amazon as Kindle Edition and Paperback. and FREE on Kindle Unlimited! Don’t have Kindle? Simply contact me with the proof of purchase to get a EPUB/MOBI copy. 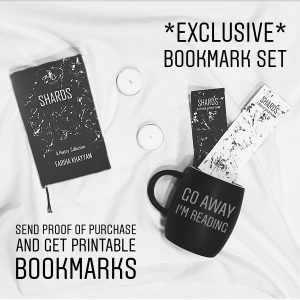 Send me your proof of purchase to get printable bookmark set.